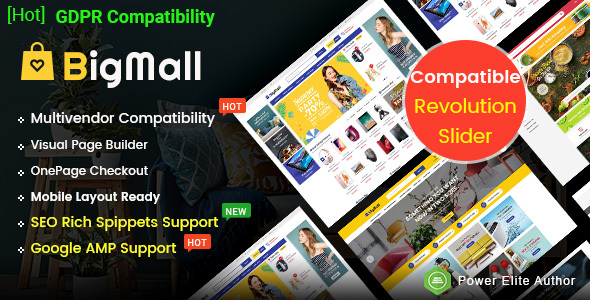 BigMall is in series of the most creative OpenCart 3 themes by Power Elite Author Magentech that has a bundle of powerful features for any eCommerce website. 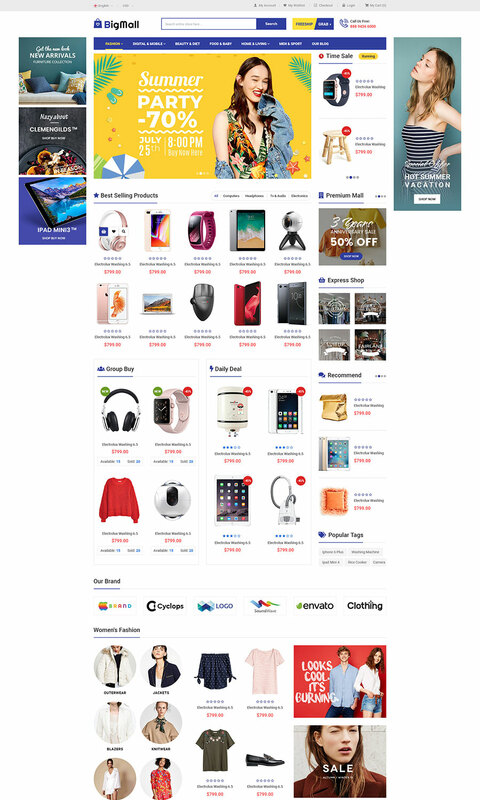 Based on the latest version of OpenCart 3.0.x, this theme with functioning features such as mobile layouts specific, OnePage checkout ready, Slider Revolution Support, SEO Rich Snippet Ready, AMP support and many other features. Now, let explore this awesome theme! 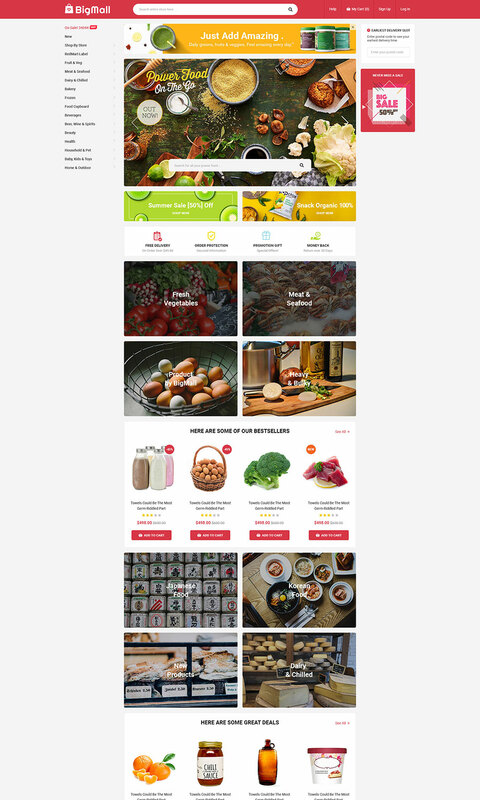 ✔️ Modern Design: Fully responsive, mobile layouts ready, unlimited colors, megamenu built-in, beautiful slider, countdown slider, featured product blocks, product listing tab, etc. 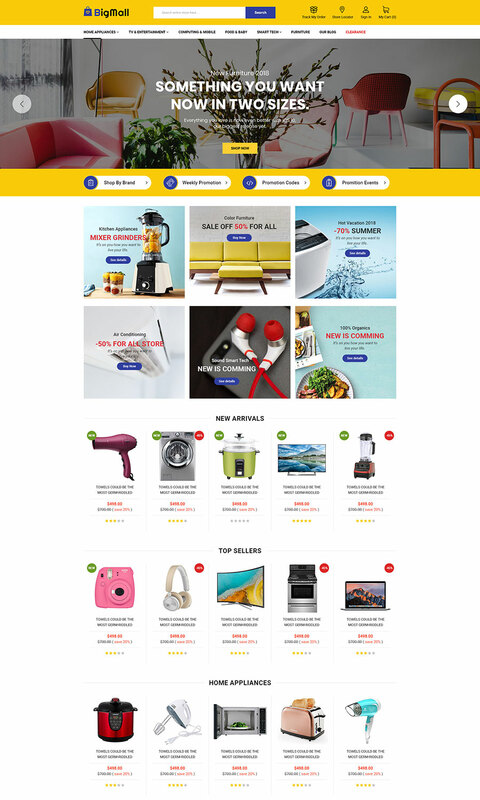 ✔️ Easy Installation: Just some steps you can get the site like demo simply.